Growing up in Canada, Remembrance Day was a day for contemplation. Each year the entire country seemed to shut down for a minute of silence on the 11th hour of the 11th day of the 11th month. This year, we are spending Remembrance Day in France, where the end of the war has a much deeper meaning. 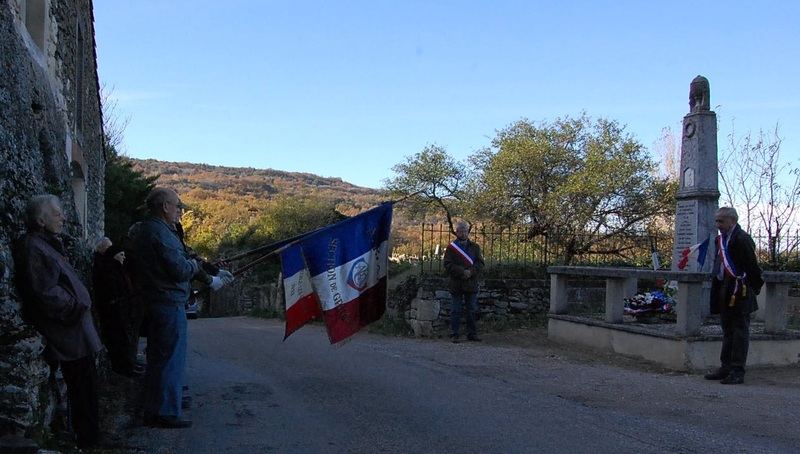 One in five men living in Provence died during World War I. Every village, no matter how small, has a memorial listing the names of their war dead. The local custom is to “appel aux morts” (name the dead). They gather at the war memorial and read out the names of each of those who died during the war in a ceremony. It’s a lovely tradition. 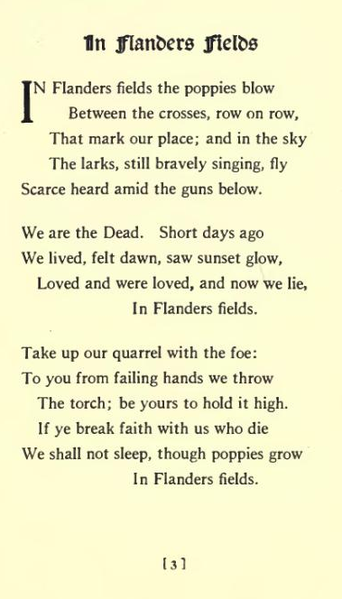 But I really missed the red plastic poppies and hearing Canadian John McCrae’s famous poem “In Flanders Fields”. So I am posting it here. I missed hearing it too. Thanks for posting it. They read out the names of the dead here too. We must not forget our casualties from more recent wars as well. Think of Afghanistan, still so close to us. I honestly had no idea that Canada or France had such a day. I really love it. I also find it sad that Americans don’t have that sense of history. We should.